Oziexplorer map image and calibration file. Androzic map image and calibration file. This entry was posted in Android, Events, News, Oziexplorer, Serbian Nationals, Zenta 2011 on September 5, 2011 by phz. I lost my Garmin GPS just before the Marijampole Cup. I had two possibility: buy a new one or find a suitable Android application. The second was the cheaper. I looked around the Android market because I knew no Oziexplorer application on Android. 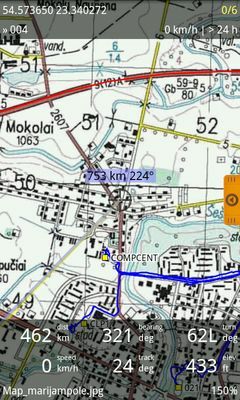 First I downloaded the TwoNav from the CompeGPS team but it’s free for two week only (after 42 EUR). Before using I had to convert the map file to Oziexplorer formats (ozf). The Androzic compatible with Img2ozf 3.03 or older version only. You may download the Img2ozf 3.03 from (or Img2ozf 2.08) here what I used and tested. If you are using ozf file already then in the Oziexplorer check your map’s projection: File / Check Calibration of Map. It works with Latitude/Longitude projection only (today version is 0.9.18b). 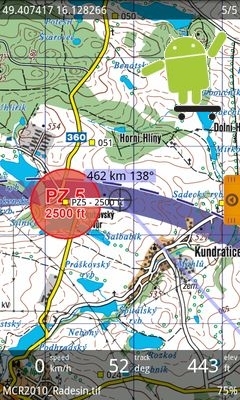 I had Androzic with calibrated Oziexplorer map already and it works well! 🙂 I used it for maping, waypoints for target places and navigation too. Everything was fine. not supported the UTM/UPS grid projection and no show UTM coordinates. I’m using it with a Samsung Galaxy S and I very like it. If you want to fly with Androzic you need an Android tab with a larger screen. The Androzic is free and an Android tablet much cheaper as an iPad. Have fun! This entry was posted in Android, News, Oziexplorer, Software on May 31, 2011 by phz.